In Unitarian Universalism, you can bring your whole self, your questions, your doubts, your beliefs and your loving heart. We see the value in coming together, without one 'right' set of beliefs, and with conviction that history has given us many teachers. We do not ask you to check your personal background and beliefs at the door: we invite you to join with us on a journey that honours a variety of understandings. Unitarianism and Universalism were, historically, liberal Christian traditions. Unitarianism began in the 16th century and valued religious freedom and thought. Universalism developed in the late 18th century and espoused the idea of a loving god who embraced all people. Over time, these liberal religious ideas spread, evolved, morphed and merged into what is modern day Unitarian Universalism. Over time, our shared Principles that support “the free and responsible search for truth and meaning” have led us to embrace diverse teaching from Eastern and Western religions and philosophies. Is there something bigger than me? What sacred texts and sources of wisdom can inform my journey? What spiritual practices can help ground me? How can we celebrate diversity and build communities of hope and meaning? We come together, with shared values, as expressed in our seven Principles to grow and learn together. We come together in worship services, in religious exploration programs, in our search for truth and meaning and the world we dream of. We invite you to visit us, to learn more about us, and to join with us in the journey. 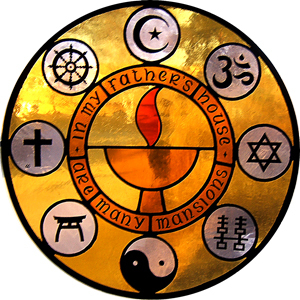 If you want to learn more about Unitarian Universalism, please explore the links at the bottom of this page.